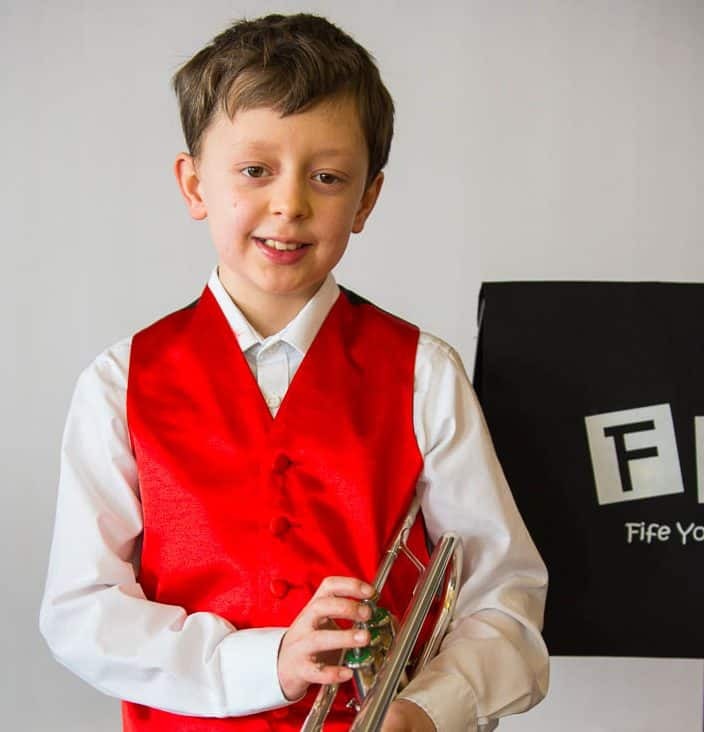 Fife Youth Jazz Orchestra is a unique youth music initiative which combines high-quality music education with all the fun, freedom and creativity of jazz. FYJO is the place for anyone aged between 8 and 24 who plays a musical instrument and wants to play jazz with other young people. FYJO’s philosophy is Mistakes are cool! and there are no auditions or formal requirements for new members. Dedicated jazz tutors led by founder and award-winning jazz musician and composer Richard Michael encourage youngsters to develop at their own pace within FYJO’s two orchestras. Over 40 years they have helped hundreds of young people grow into confident instrumentalists and ensemble players. Why not come along to one of our rehearsals and see the magic for yourself! Browse our website to see and hear FYJO at play. Learn how you can join the orchestra, find out how you can support our work, or get news about our latest gig. Here is some YouTube footage from the 40th Anniversary Gig where many ex-FYJO players, who are now professional, returned for a celebration concert.